Luxurious settings with stunning views! The hotel's 60 fully-equipped rooms and suites offer all the comforts of home and views of the park from their large, furnished balconies. When you open your eyes, the countryside seems replete with promise. The light colours and the glass panel separating the bathroom from the bedroom help diffuse the sunlight, giving the room a peaceful, serene feeling that puts you at ease. Original photographs showing the natural splendours of the Haut Languedoc park give a heightened sense of freedom! 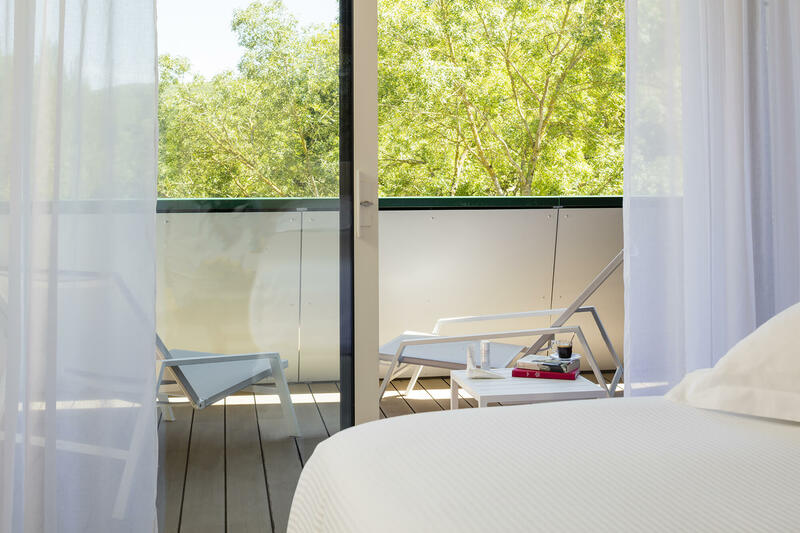 Each of the 56 spacious, sun-bathed rooms (23 twins and 33 doubles), ranging from 23 to 30 m², includes a large furnished terrace overlooking the park. All rooms have a shower, and 11 of them have a bathtub. 3 are accessible for people with disabilities. There are 4 pairs of communicating rooms. 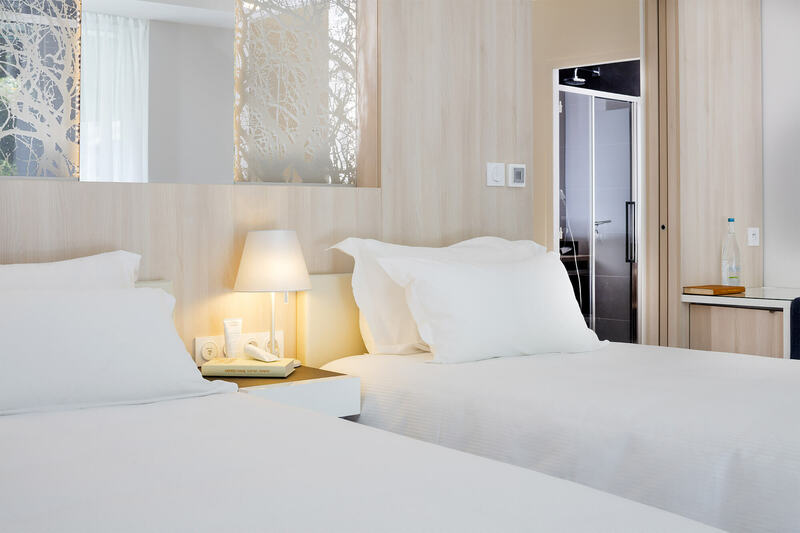 The 4 suites, ranging from 40 to 60 m², are perfect for a luxurious visit to Avène. 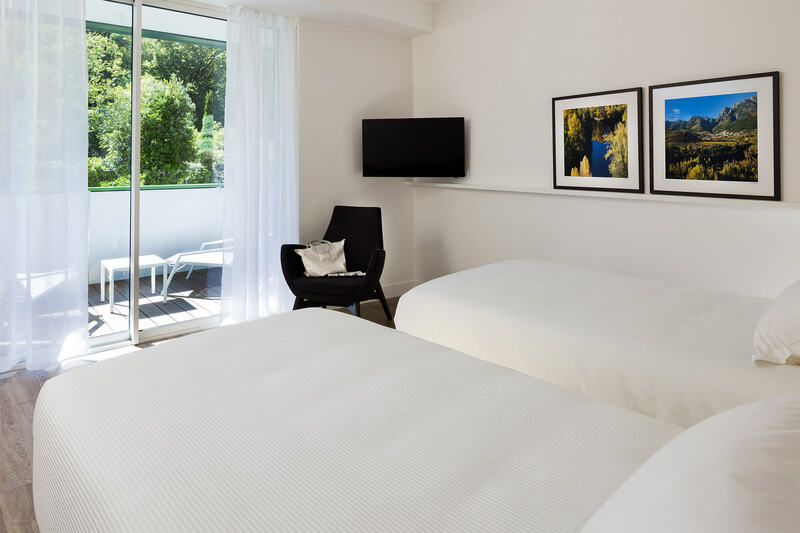 Each suite includes a large furnished terrace, a living room with a desk, sofa and armchairs (2 trundle beds in the family suite), a bedroom with an extra-large bed, and a bathroom with a shower and bathtub. Separate toilets except in the disabled access room.